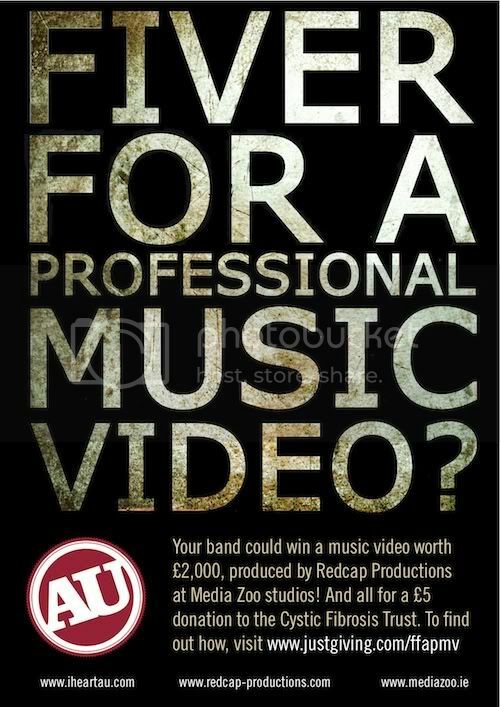 AU Magazine, in association with Armstrong Learning, is giving bands the chance to shoot a music video with Belfast production company Redcap Productions, to be made at the amazing Media Zoo film studios. This prize worth £2,000 could be won by your band, and for only a fiver! What’s more, each entry is a donation to charity, with every penny going to the Cystic Fibrosis Trust. Five bands shortlisted by an industry panel will be thrown into a hat and a winner will then be picked out by a radio DJ, live on air. The music video will be shot in September and premiered at a launch party on October 13, as well as being launched online. To enter, donate £5 or more (or the Euro equivalent) at our JustGiving page (www.justgiving.com/ffapmv) with your band’s name, then send a 50 word pitch, information about your band and links to your music to us at ffapmv@hotmail.co.uk. This is your chance to persuade us that your band is worthy of the prize, so think carefully! Media Zoo is Northern Ireland’s leading dedicated production studio – it comes complete with a green screen, allowing for incredible videos. More info at www.mediazoo.ie.